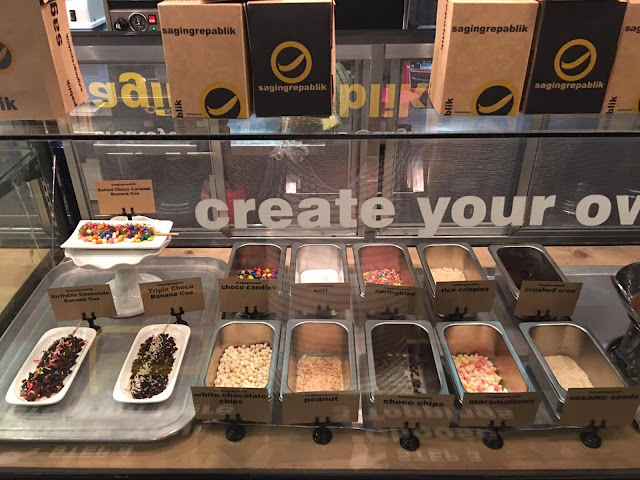 Tired of going to the same concept restaurants every time you want to dine out? How about, are you an adventurous foodie who wants to taste a different style of cooking? 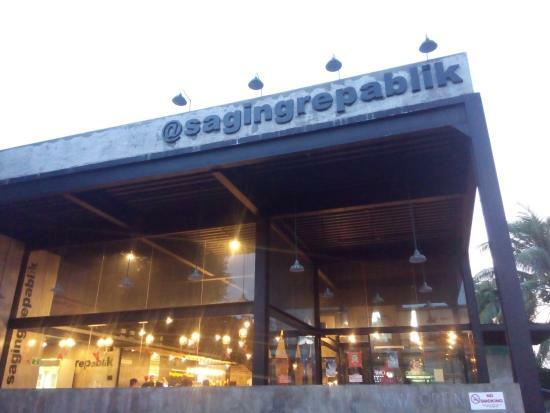 Why not try Saging Repablik here in Davao City. This is the place to be if you want a unique way to dine and unwind with your friends and families. This restaurant is all about bananas. Almost all of their menu they infused it with bananas hence the named “Saging Repablik.” Since the Davao region is one of the major players in the banana produce business in the Philippines, saging (Tagalog word for banana) is really abundant here in Davao that is why the owner come up with the saging concept. 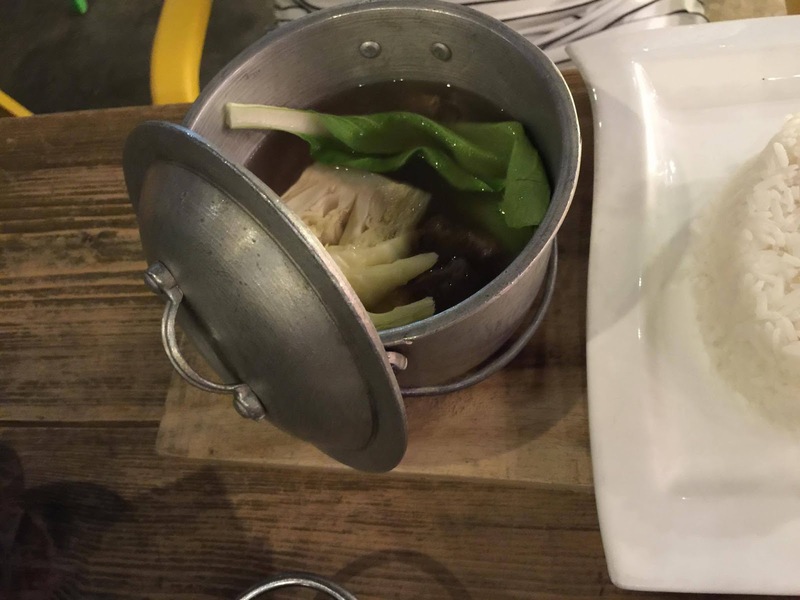 The restaurant highlights the ever simple banana and serve it with a twist in the dishes that they offer. 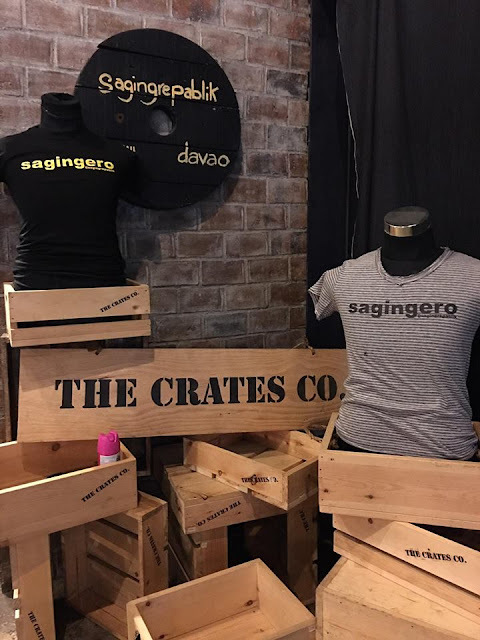 A cool concept that is a hit here in Davao City since they opened its doors. 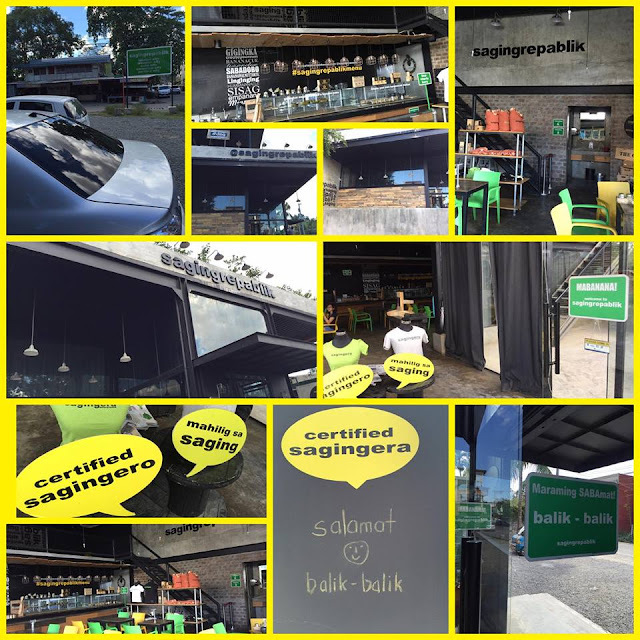 Situated in Tionko Avenue corner of V. Mapa Street in Davao City, Saging Repablik is just in front of the Kangaroo Coffee Shop. It won’t be hard to find this restaurant since there is a big signage outside. They also have a big parking space which is a plus for people who have cars. 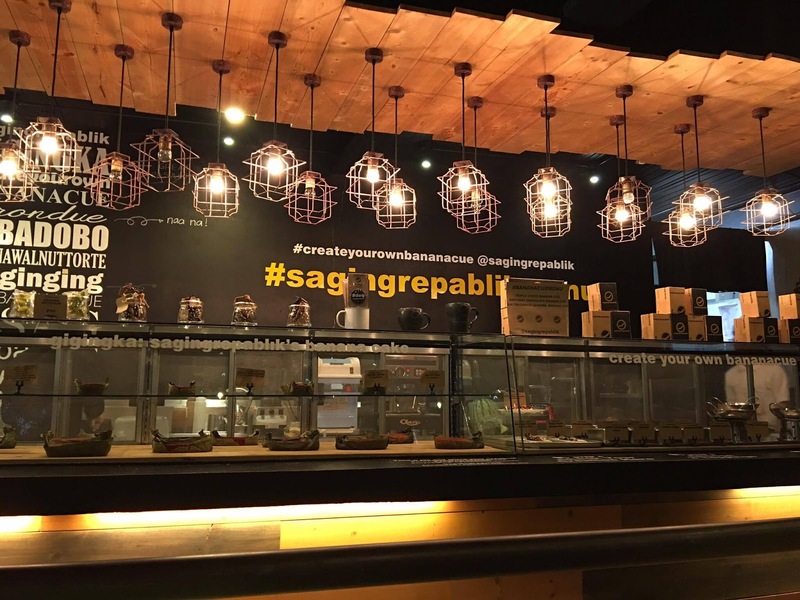 The place is awesome for people who wants a big glass design styled restaurant. 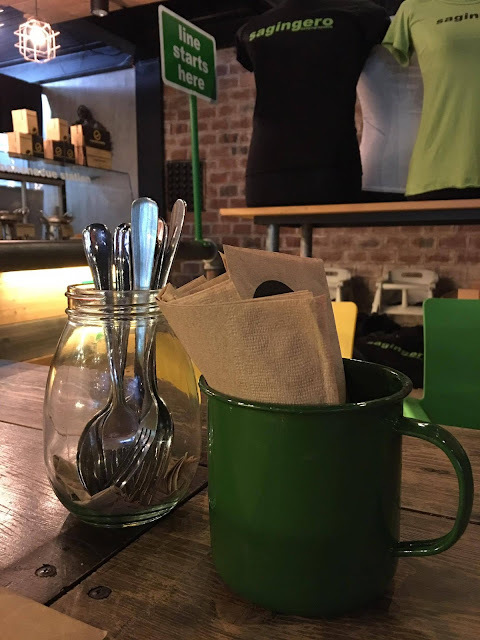 The yellow and green chairs add colors to the restaurant’s somber industrial designed concept. The lighting is superb and warm which really downsize the industrial feel. An amazing place to have a date with your love one or just hang out with your friends and families. They offer all kinds of food from Filipino dishes, pastas, sandwiches and desserts. They have this nice offering to #createyourownbanancue for only P55. This means you can choose among their array of dips and toppings to add more flavor and fun in your regular banana cue. 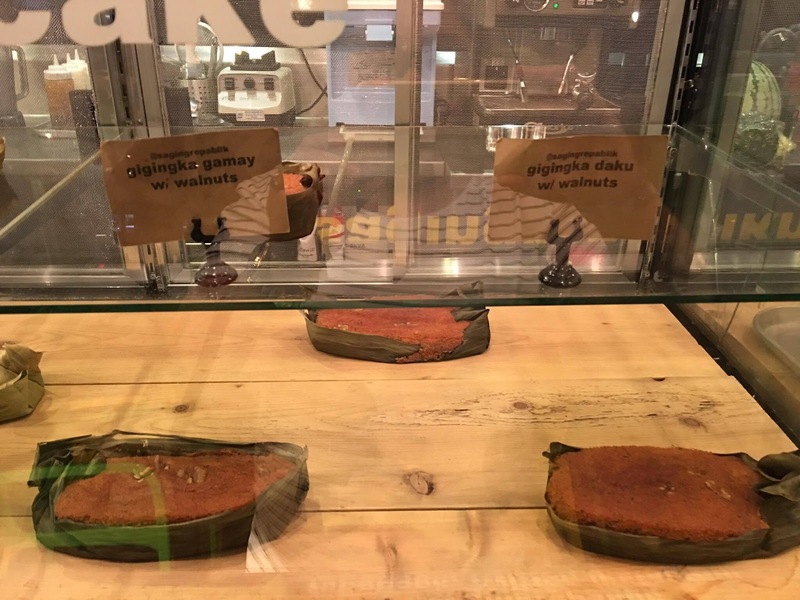 They also have Gigingka, their own version of bibingka but made of banana. 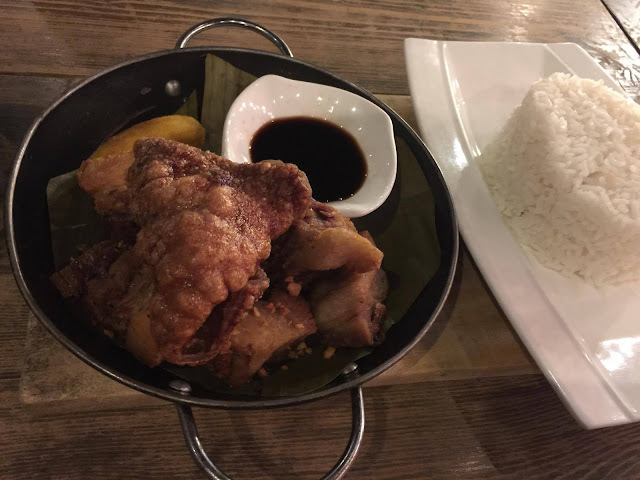 But since we are there for dinner time we opt to order their Nilagang Baka con saging (Beef Soup with Banana P 225) as well as their Sabagnet (Bagnet with Saba P195). Take note this came with a plate of rice already. The food is indeed sumptuous but very affordable. 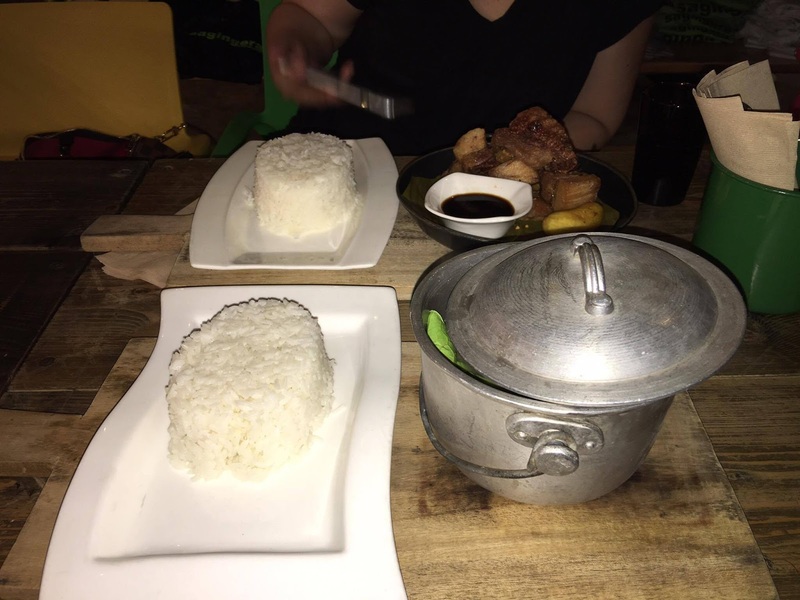 We were amazed in their plating since the soup is served in a little “kaldero” (cauldron) while the Sabagnet is served in a little frying pan. 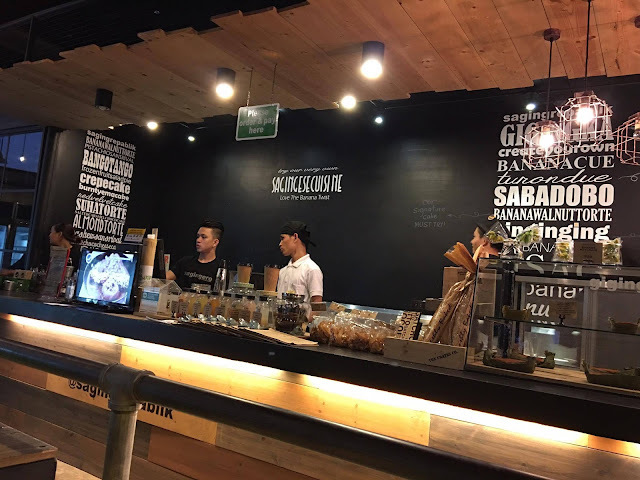 A Filipino modern setting! On one side of the restaurant you can find refrigerator with different cakes and pastries to choose from. 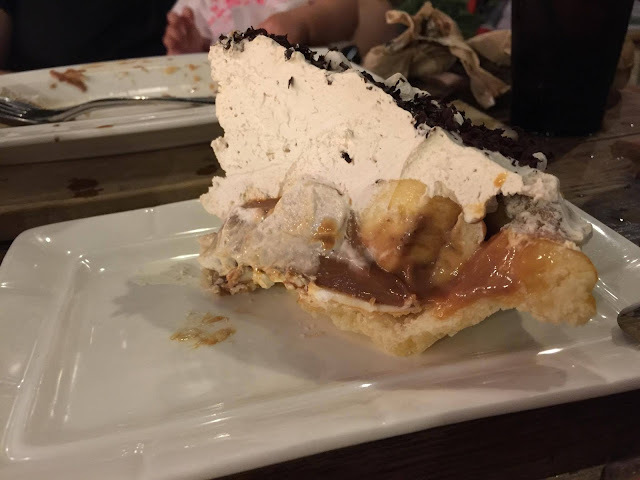 But since we were already full from our dinner we opted to just taste their famous Banana Walnut Torte. The taste is heavenly- not too sweet but very tasty! 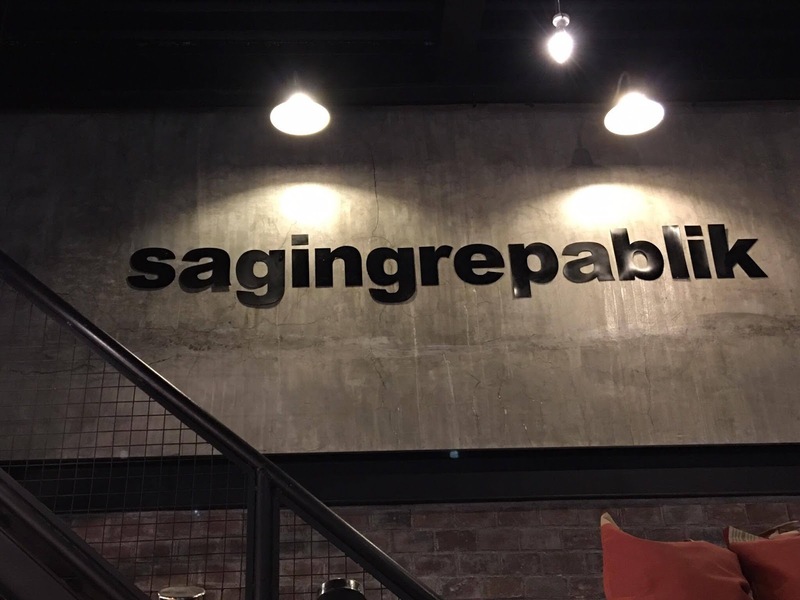 Aside from eating there, there are Saging Repablik merchandise to choose from. 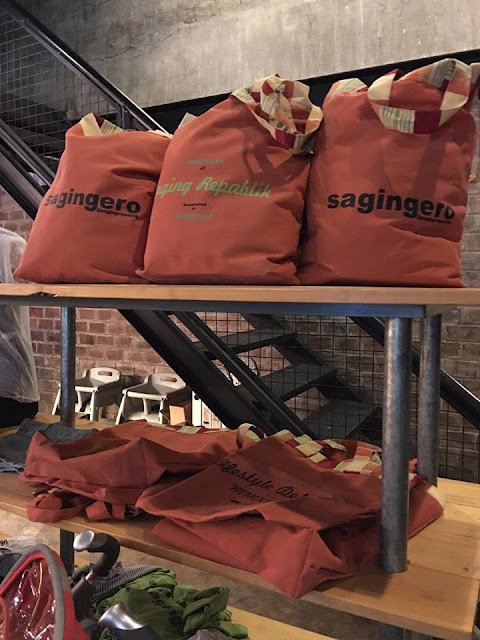 You can buy their bags and t shirts for the whole Saging Repablik experience. 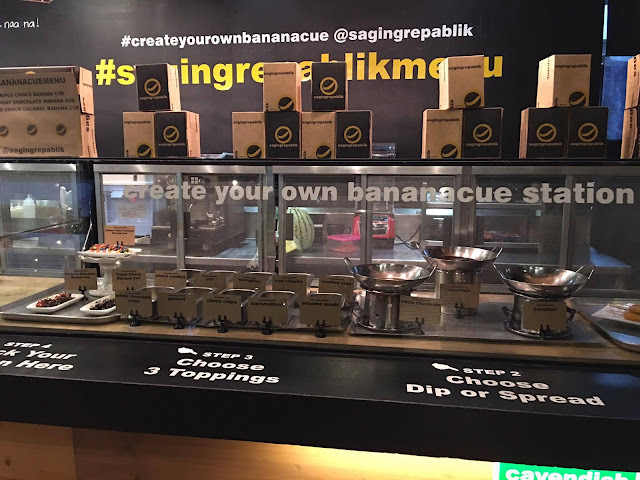 So if you are in Davao City and wants to go bananas for bananas, try Saging Repablik. Surely you will love the place! Happy eating.